Subaru might have got all the attention this year on the Isle of Man, with Mark Higgin's record-breaking run of the TT track. However, before all of this, 26 years to be precise, similar heroics were being demonstrated by the Legend that was Tony Pond and in, of all cars, a Rover SD1 Vitesse. 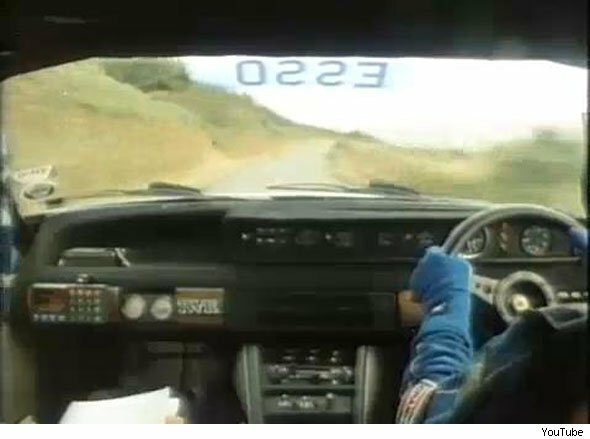 The first minute and a half of this video of the 1985 Manx rally is genius. Marvel as Pond threads the frankly massive Rover along tiny lanes of the Isle of Man at incredible speed. The fact he managed to keep the tail-happy Rover in the top ten until crashing out against 350bhp Group B rivals, such as the Audi Sport Quattro, is a measure of his driving skill. Sadly, Tony Pond succumbed to cancer in 2002, but he is still much missed today.